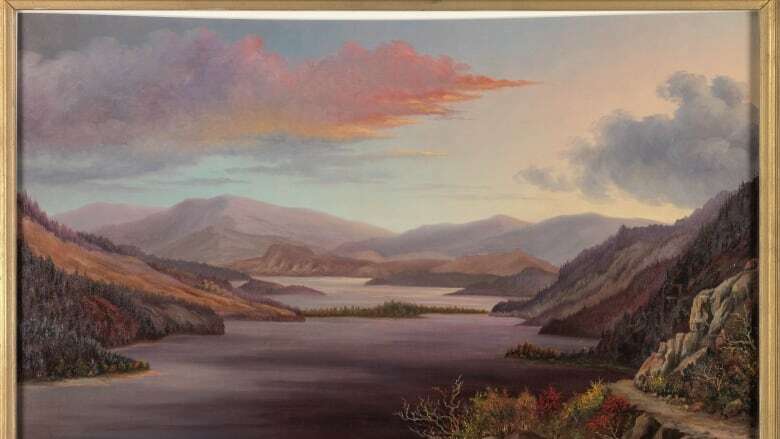 A history professor at the University of Victoria is searching for paintings by an American who became the first professional artist in B.C. A history professor at the University of Victoria is searching for paintings by Grafton Tyler Brown — an American who became the first professional artist in B.C. John Lutz, a professor at the University of Victoria's Department of History, has been digging up clues about the life and work of Brown. "He's the most famous black artist in the American West," said Lutz. "[He's] really well known in the States." Brown moved to Victoria from San Francisco in the late 1800s, when Lutz says a sizable black population came from San Francisco during the gold rush. He was originally a printer and draftsman. He was also light-skinned — when he moved to Victoria, he reinvented himself not only as an artist, but as a white artist. Brown lived in B.C. 's capital city for two years, travelling around the region painting landscapes. His art was often featured in the local paper and was purchased by prominent locals, such as B.C. 's Lieutenant Governor. Lutz stumbled across his work by accident while he was conducting research in the Saanich archives. "It was a really meticulously, really finely detailed image," said Lutz. "I thought, wow, is there more of that out there?" He believes Brown's work paints a picture of Victoria in the late 19th century, and he's hoping to find more of his work to gain a better understanding of life in the region during that time. Lutz is urging British Columbians to check their basements and their attics in case they're unknowingly keeping any of his art. He believes there are at least 40 of his paintings scattered between Victoria and Keremeos, B.C. Lutz will be giving a talk about Grafton Tyler Brown on February 15 at the James Bay New Horizons as part of Black History Month celebrations across the province. Black History Month events in B.C.